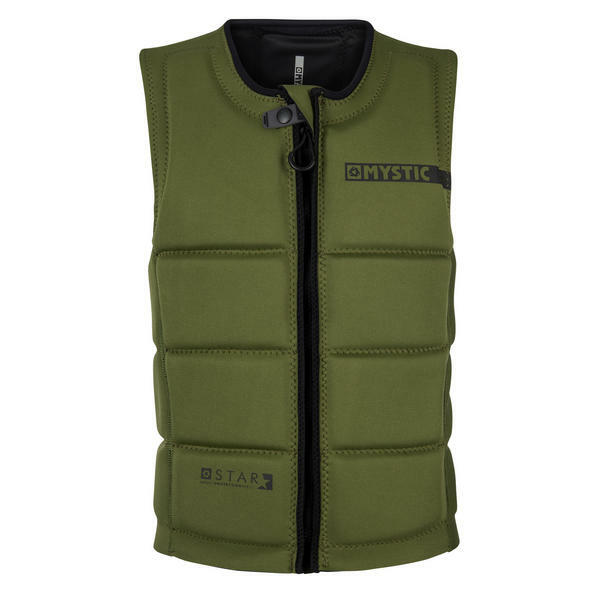 The Mystic Impact vest is made from Soft Touch neoprene that is flexible and comfortable. The Star Impact Vest is designed to absorb shock from impacts in the wakepark, whilst remaining flexible and comfortable to wear. Please note that this is not a floatation device / buoyancy aid. 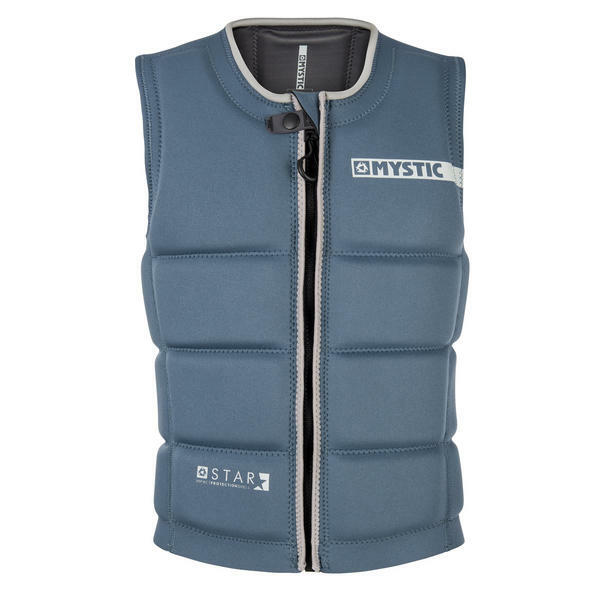 This impact vest should not be used instead of a life-vest. The Clash foam has got some buoyancy but is mainly designed to protect you from impacts. The Front-Zip makes it easy to get in and out of your impact vest whilst the Mystic zipper lock holds the zipper puller in place during impacts. The Zipper puller is waterproof and built to last. XS = Euro 46, Chest (CM) 87 -94, Chest (Inch) 34"-37"
S = Euro 48, Chest (CM) 92 -99, Chest (Inch) 36"-39"
M = Euro 50, Chest (CM) 97 -104, Chest (Inch) 38"-41"
L = Euro 52, Chest (CM) 101 -108, Chest (Inch) 40"-43"
XL = Euro 54, Chest (CM) 106 -113, Chest (Inch) 42"-45"
XXL = Euro 56, Chest (CM) 111 -118, Chest (Inch) 44"-47"